The UK is beginning an ambitious new project to collect and store millions of biological samples from people across the country. Over the next three or four years around half a million people between the ages of 40 and 69 will be involved in this study. The samples that they provide, along with other data about their health and lifestyle, will be correlated with their health records from the day that they sign up to the study until the day they die. The aim of UK Biobank is to create a huge resource of biological samples and physical data that medical researchers will be able to use in studying many different aspects of the UK’s health over the next 20 to 30 years. It is expected to help in studying the progression of illnesses such as cancer, heart disease, diabetes and Alzheimer’s disease, in order to help develop new ways of preventing, diagnosing and treating such problems. The scale of this £61m project is staggering: two large warehouses on the outskirts of Manchester are being turned into massive liquid-nitrogen-cooled freezers. 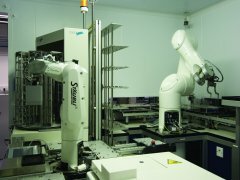 Around 80 per cent of the archive will be completely automatic, with all the sample manipulation inside the warehouses being done by advanced robots. Around 35 clinics will be set up around the country to collect the samples and data. Volunteers will be assigned a unique ID (keeping their identities anonymous) and will complete a questionnaire with details such as their height, weight, lifestyle issues such as whether they smoke and their medical history. Up to seven samples will then be taken from each volunteer, six of which will be blood samples and the seventh will be urine. The sample tubes are being custom-made so that each one carries a unique bar code – meaning that they can be scanned in rather than requiring manual keying. The bar code of the samples will then be linked to the volunteer’s ID. Each night, the clinics will pass this data onto the centre in Manchester while the corresponding biological samples will be sent by courier. Samples will be collected from about 600 people every day and UK Biobank will be faced with the formidable task of not only storing these samples but also keeping track of what they all are and where they are located. This is why at the heart of the project there is a laboratory information management system (LIMS). The LIMS tracks the samples throughout the process, links them to the correct volunteer ID, any plates that have been made from the samples and the locations of samples and plates within the storage warehouse. In the future, the LIMS will also provide a full inventory to the researchers who need to use the samples. The LIMS that has been chosen for this project is the Nautilus LIMS from Thermo Fisher Scientific. According to Hemal Rajani, LIMS manager for UK Biobank, Thermo was chosen because of issues such as price, local support (Thermo has offices in Manchester) and the selection panel’s experience with the product. Beyond these commercial factors, Rajani says that it is very important for this project that the LIMS is very flexible to work with new things and stable because the system is always on. This LIMS, along with the other equipment involved in the study, has already cut its teeth in a three-month pilot study in Manchester. Rajani says that the team has not had to modify the LIMS since the pilot. Nonetheless, the LIMS will face tough challenges over the next few years. ‘This is the first project of its kind in the world. There are others, but they are not on the same scale,’ points out Rajani. This is why flexibility is so vital. ‘We need a constantly-changing LIMS for a constantly-changing arena,’ he says. For this reason, he admits that it would have been ideal if the LIMS had a specific biobanking module. ‘We have a generic LIMS that we have had to adapt to our market. It has adapted well but, for the industry we are in, a specialised product would be best,’ he points out. His wish list for a LIMS would also include the ability for the LIMS to integrate very easily with the project’s robotics. ‘At the moment Thermo has to do this integration for us, but it would be better if we could do it in-house as we have the robotics experts and currently have to spend time explaining it to other people who are not robotics experts,’ he explains. And the LIMS will also be tested again in the future when the project reaches the analysis stage. However, Rajani says that Thermo’s LIMS has coped very well with the simple haematology tests that have been carried out so far on the pilot samples. The important role that a LIMS plays in a research project such as UK Biobank is mirrored in commercial settings. In northern Italy, for example, ChemService believes that it has increased its efficiency by around 15 per cent since it decided to use PerkinElmer’s Labworks LIMS throughout the whole company. ChemService analyses samples from fields as diverse as food and beverage, environmental monitoring, microbiology and genetics. Each year it processes around 20,000 samples on behalf of many different clients, some of which are occasional and some of which send samples on almost a daily basis. The LIMS keeps track of all these samples from the time they are collected to the production of the final reports and keeps them all linked to the relevant customer name. ‘We basically help with data workflow,’ explains Luca Piatti, PerkinElmer’s project manager for the ChemService LIMS. ‘ChemService has to be able to control the backlog of samples in order to respond quickly. It also has to report the results of the analysis in a very accurate way. The greatest benefits of the LIMS are during logging and reporting.’ And these benefits are increased if the same LIMS is used across the company, because it increases the efficiency, believes Piatti. As ChemService is made up of several very different departments, the decision to standardise on one LIMS required a very flexible product in order to archive and manage the daily results from all the different labs and processes. Piatti explains that the structure of the LIMS is the same throughout the company, but the content is different depending on the department. ‘I customise the LIMS a little, but the customer can select the right template, such as the one for environmental applications, themselves,’ he says. These templates must be varied, even within the same department. ‘ChemService wants to have several types of templates in different formats depending on its customer and customer requirements,’ he says. This helps the company to give clear reports to its clients. But this is not the end of the story with ChemService’s LIMS implementation. Like those involved in UK Biobank, this Italian company is interested in any future developments in LIMS technology. One of the main requests from ChemService is that future versions of Labworks should offer improved electronic and web reporting. Although Piatti says that most of ChemService’s clients still require a print copy, many are now also interested in having the results emailed to them in order to speed up the process of finding out about their samples. ‘It’s something that we are planning to implement, and recent modifications are moving in that direction,’ promises Piatti. Integration is also important for quality assurance tests in the pharmaceutical industry, according to Huw Loaring, who is systems director of LabLogic. This company has recently reported an increasing take-up of its Debra ADME LIMS by major pharmaceutical companies that have deployed the LIMS throughout their businesses. These LIMS implementations use the Citrix access protocol, which is said to be easy to use, with all processing done on a mainframe, saving time, line-capacity and money. The main benefit of this approach for large multi-site companies is in data sharing, according to Loaring. However, single-site Debra users are also often choosing the Windows Terminal Server or Citrix for software deployment. According to LabLogic, this makes implementation easier for IT departments, because they can just give users access to a certain Citrix server and then they can use the application through a web browser. Another important requirement of this LIMS for the pharmaceutical industry is accurate record keeping. ‘Debra has a full audit trail and keeps a visible record of any changes made to the raw data and who made them,’ says Loaring. This LIMS also has a ‘traffic light’ system, which works on a similar principle to the colour coding in the Labworks system. Debra’s ‘traffic lights’ show data direct from the instrument on a green light, re-entered data on yellow and manually entered figures on red. Whether it is part of a project that is pushing the boundaries of sample storage and medical research, helping a company streamline its commercial offering or studying proteins, the place of the LIMS is firmly established. 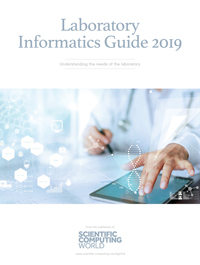 And with both research horizons and customer expectations continually expanding, looks set to be plenty for the LIMS – and the LIMS manufacturers – to do for many years to come. The Montreal Heart Institute and Genome Quebec Pharmacogenomics Centre (PGC) is a collaborative effort of the Université de Montréal, Genome Quebec and the Montreal Heart Institute. PGC is offering genotyping services in its labs with a capacity to generate tremendous amount of valuable data. PGC genotyping services generate tremendous amount of data. Previously, data was tracked using paper-based methods and Microsoft Excel. With increasing amounts of data, especially sample processing and output data handling processes, there was a need for a LIMS to automate the processes and manage resources efficiently. They eventually chose the Biotracker Advantage from Ocimum Biosolutions.After understanding the specific needs of PGC, Biotracker was deployed, which offered a client server-based LIMS solution. Data collection, resource management and data processing were automated and results stored in a central database. A secure web interface was developed, enabling customers to track sample status and download final results in real time. Biotracker included sample and inventory management, experiment scheduling and many more tools enabling researchers to plan and execute their work. A barcode reading functionality further eased input and output handling. Instrument interfacing was provided, wherein all the instrument files generated were parsed, and relevant results archived for further analysis. Extensive search and user report generation functionalities were provided to increase the overall utility of Biotracker.